Pictured: The world's most dapper version of Blue Steel. OK, let me get this out of the way: This post is appearing on a sci fi/fantasy blog. But is James Bond a sci fi character? Strictly speaking, no. And yet, I would point you to the high-tech, improbable gagetry that populates the films, along with that scene in Goldeneye in which Bond drives a motorcycle off a cliff and then dives into an airplane mid-flight. This requires an extreme suspension of both disbelief and the rules of physics that allows me, however distantly, to classify Bond as a sci fi character. So, I state: James Bond is so hot right now. 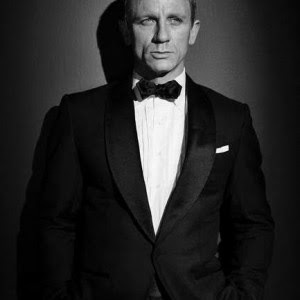 And I don't just mean the hotness of Daniel Craig, although that most certainly is true. But recently, Bond has been popping up all over. James Bond is turning 50 this year; Dr. No, the first Bond film, was released in 1962, which makes this 007's half-century anniversary. His evolution over the last half century from Commie-battling sexist to campy crime fighter to tormented badass has been fascinating, as has the changing role of the Bond girl. But I'm not here to talk to you about James Bond's cultural and sociological significance. I'm here to bring you this week's news in Bond. And also a shirtless picture of Daniel Craig. 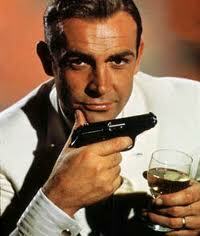 First, here comes James Bond in the Olympics opening ceremony. Presumably you watched this along with the rest of the world, but I don't think it'll hurt anybody to see those adorable skittering Welsh corgis again, or Daniel Craig in a slim-fitting tuxedo. Next, here's your chance to make the fella in your life smell like a secret agent. 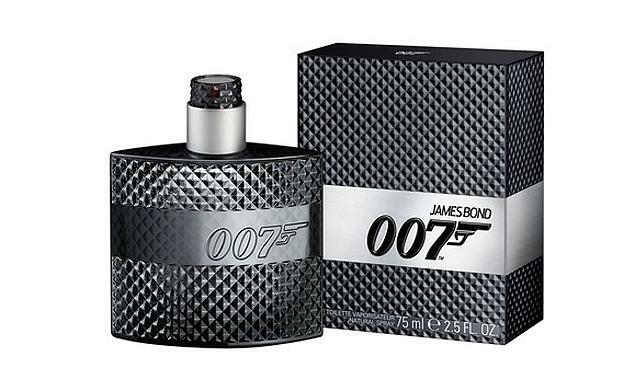 The James Bond 007 fragrance for men hits the market later this month. The scent has notes of fresh apple, cardamom and sandalwood, according to the New York Daily News. I don't necessarily associate apples with Bond, but I can roll with it. No, Mr. Bond, I expect you to dry. 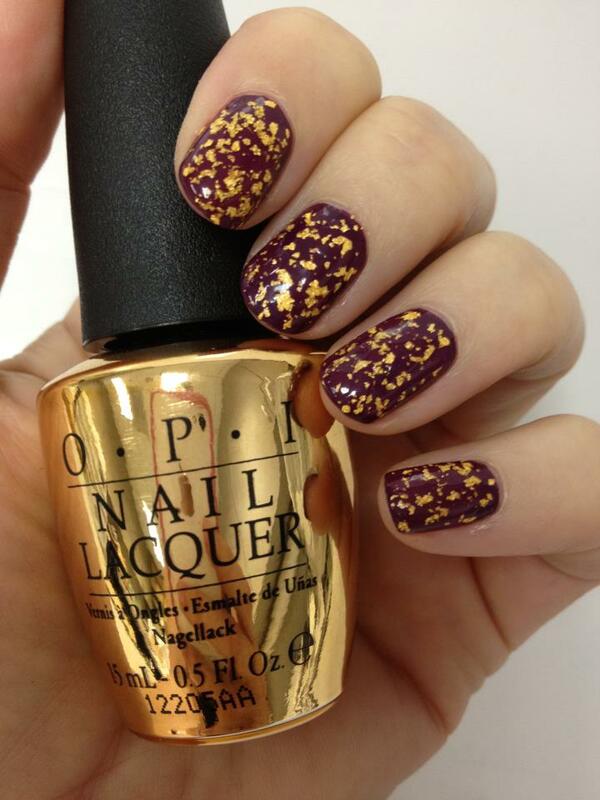 Women wanting in on the Bond craze can grab the new line of OPI nail polish, out in October. The 13 colors are named after Bond movies, including Die Another Die, You Only Live Twice and, most spectacularly, The Man with the Golden Gun, a real 14-karat gold leaf top coat. (Off topic: I'm not sure whether I love or loathe nail polish companies' Hollywood tie-ins, from Minnie Mouse to The Muppets to Burlesque to The Hunger Games. It seems a little cash-grabby to me, like Happy Meal toy tie-ins for grown ups. Yet I love the punny names. I'm torn!) Anyway, the gold leaf top coat will retail for $38. Here's hoping your polish application session doesn't end up with your lifeless body entirely coated in gold. Another piece of big Bond news this week was the release of the trailer for Skyfall, opening Nov. 9. Judy Dench is such a boss. And boy, does Hollywood love to give Javier Bardem terrible hair, or what? 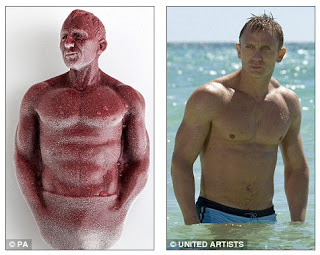 OK, admittedly, this next item isn't new and isn't even available anymore, but in 2009, Daniel Craig's torso was sculpted into a limited edition popsicle. I ... I just wanted an excuse to post it. He's pretty. I can't think of a single non-dirty caption. Finally, and this has nothing to do with anything, but ... CorgiCam! Live streaming corgi puppies! They're just about the only carbon-based lifeforms that can pull focus from Daniel Craig in a tuxedo. So how are you celebrating James Bond's big 5-0? Does the Skyfall trailer have you wishing it was November already? Would anyone like to launch of defense of Timothy Dalton's reign as Bond? A. That scene in Goldeneye SO could have happened! B. The embedded youtube video doesn't work. C. Apples? That's a girl's smell! D. That was the best movie trailer I've seen in a while. I went to (translate - was dragged by boyfriend to) a Bond exhibition at the Barbican in London this week. And it was...AMAZING! I'm not usually a fan, but the exhibits were mostly of the outfits & gadgets & it was ace to see the prototypes for the guns, gizmos and underwater cars. Also, slo-mo footage of DC in a tux. Yeah, I stayed a while at that part.